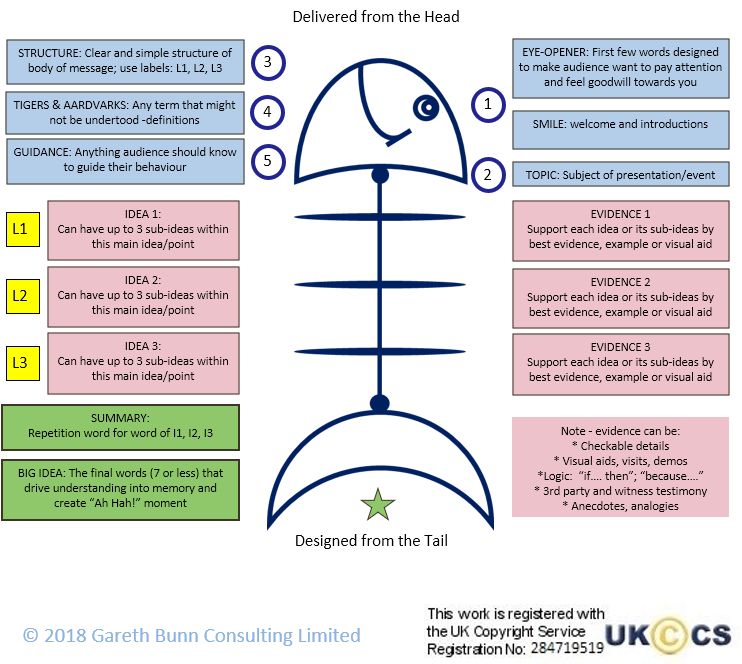 I run a company (www.garethbunnconsulting.co.uk) which as a core provides coaching and training in the field of communications especially the spoken word – the world of presentations and conversational interaction and at the heart of everything we do in business. The techniques and frameworks we use are well-researched – not just the whim of the trainer. Technology evangelists would have us believe that presentations should be state of the art in terms of multi-sensory sophistication. But of course, much of this is counter to what we know about human beings from neuroscience – and indeed our own experience. So, we are continually searching for the real art and science of communication, while at the same time defeating some of the notions and assumptions that are pressed upon us. As my friend and colleague Willie Macnair formerly of The Rhetorical Company often says – “Just because the majority of people do it, that doesn’t make it right”.